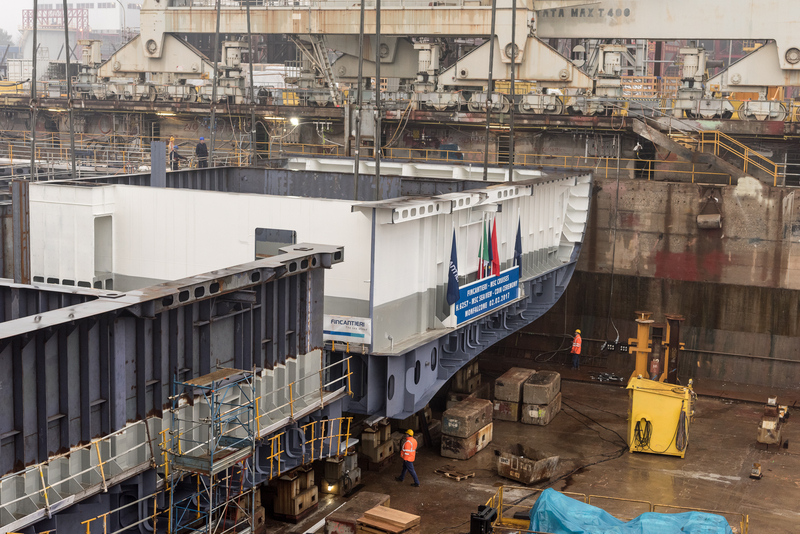 Geneva, Switzerland and Trieste, Italy, 02 February 2017 – Today MSC Cruises, the world’s largest privately-owned cruise line and market leader in Europe, South America and South Africa, and FINCANTIERI, heir to the great tradition of Italian shipbuilding and one of the largest shipbuilding groups in the world, marked a key milestone in the building of MSC Seaview with the celebration of the maritime tradition-rich coin ceremony, held at FINCANTIERI’s Monfalcone shipyard in Italy. MSC Seaview is the third next-generation mega cruise ship that will come into service under MSC Cruises’ ten-year investment plan through 2026. The coin ceremony takes place when a ship’s keel is laid, at the early stages of its construction. 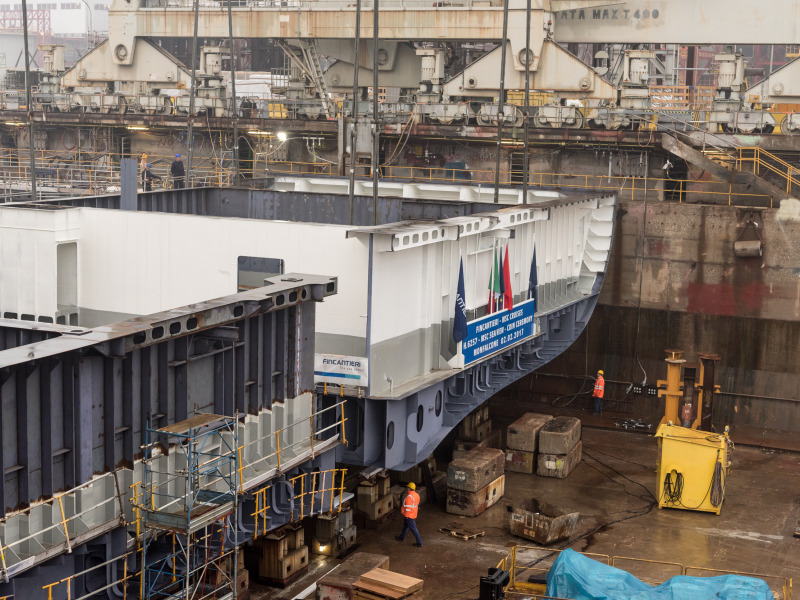 Tradition dictates that two long-standing employees representing the shipyard and the ship owner act as godmothers for the ceremony, placing two coins under the new ship’s keel block as a sign of blessing and good fortune. Today Michela Bullo, from FINCANTIERI and Loredana Giammusso, from MSC Cruises had the honour of performing this task. 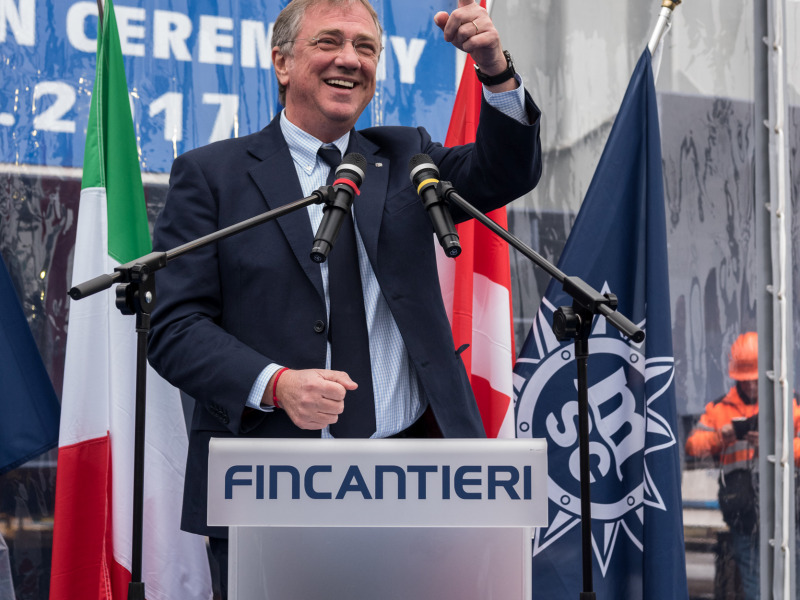 Giuseppe Bono, CEO of FINCANTIERI, said: “We always celebrate every stage of progress of this project with satisfaction. 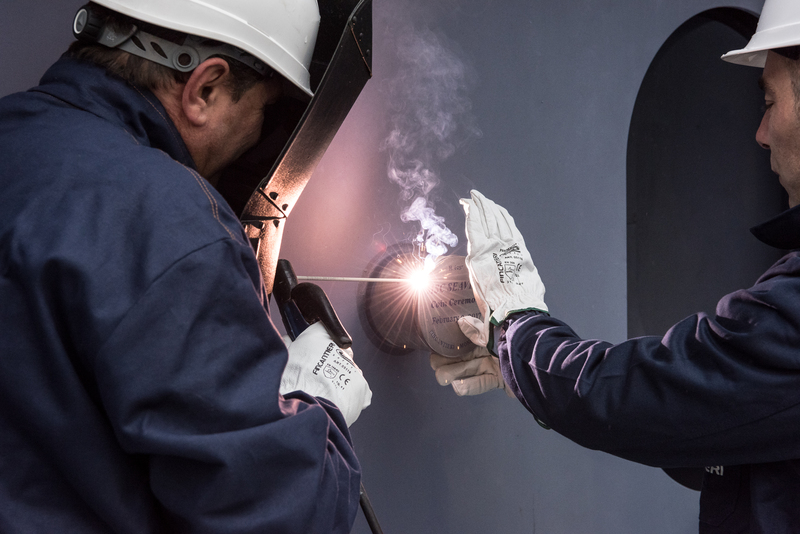 The MSC Seaview order, as the one for its sister ship MSC Seaside, which was floated out in November 2016, is one of those which has allowed the crucial relaunch of the cruise market. 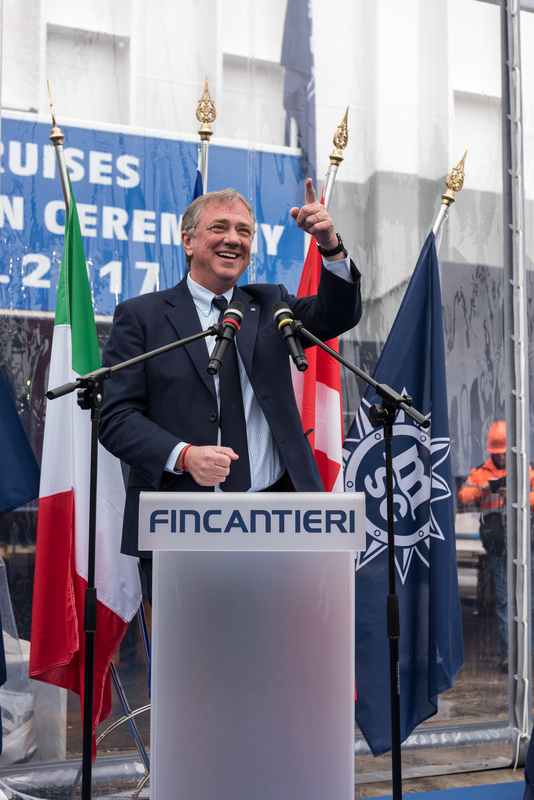 Our group has shown to fully match this important opportunity, which has helped to make FINCANTIERI the acknowledged leader in this industry, both in terms of volume and product diversification.” Bono concluded: “We are confident that this success bodes well for our partnership with our MSC friends”. At 323 metres long with a GRT of 154,000 tonnes, MSC Seaview will feature a maximum capacity of 5,179 guests. She will be the second of two sister ships in the MSC Cruises’ Seaside generation to be built by FINCANTIERI. Her sister ship MSC Seaside is set to enter service later this year in December 2017 and is scheduled to be christened in Miami, where she will homeport.